April 14, 2019: Ombudsman Susan Opler gave a keynote presentation at the Forum of Canadian Ombudsman conference, discussing the OT Enquiry - a new way of classifying, conducting and reporting on Ombudsman case work. An ombudsman acts as an independent bridge between people and their government.An ombudsman acts as an independent bridge between people and their government. Susan E. Opler, a lawyer with 30 years of administrative law experience, became Toronto's Ombudsman on September 19, 2016.Susan E. Opler, a lawyer with 30 years of administrative law experience, became Toronto's Ombudsman on September 19, 2016. Ombudsman Toronto's job is to make sure City services work fairly for people and when they don’t, to recommend improvements. 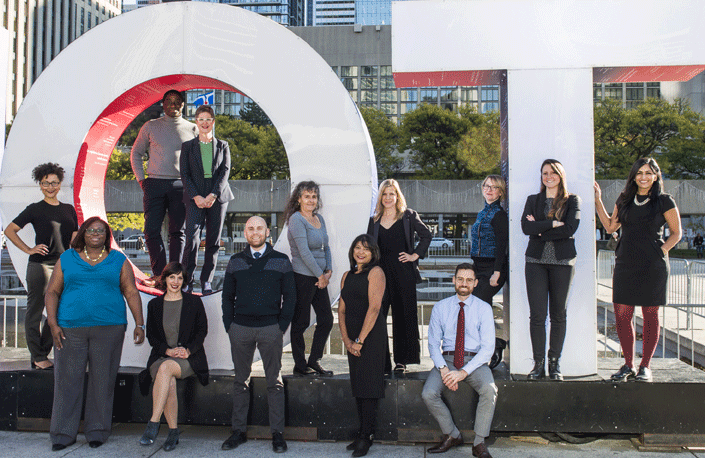 Our work makes City services better.Ombudsman Toronto's job is to make sure City services work fairly for people and when they don’t, to recommend improvements. Our work makes City services better. Ombudsman Toronto listens to and investigates complaints and concerns about unfairness at the City. We are independent and impartial. Our services are free and confidential. We promote fairness in City services. We help the public resolve problems with the City. We help the City serve the public better. We investigate, we mediate, we find solutions and recommend system improvements. We help the City to hold itself accountable in its duty to provide services that work for people. Our work makes Toronto a better place to live, work, play and do business.